Thank you for visiting my blog! I hope that you enjoy cooking as much as I do. I’ve spent years perfecting some of my favorite recipes, which I will share with you here. Sometimes the addition of a single new ingredient to an old recipe can make all the difference. For example, one evening I decided to add a dollop of goat cheese on top of my spaghetti instead of the usual Parmesan. Now I never eat spaghetti at home without it! My point? Try something new! You just might find a winner. In our household, my husband, Evan, and I share the cooking duties. When we moved in together, our kitchen was overflowing with pots, pans, silverware, utensils and dishes. Today we still have two sets of almost everything. Our cupboards and drawers are packed full, but I don’t think either of us would part with a single item. Years ago, I started tearing recipes that caught my eye out of magazines. I thought it would be easier to manage all of the loose pages if they were trimmed, arranged on a page and placed into a binder. 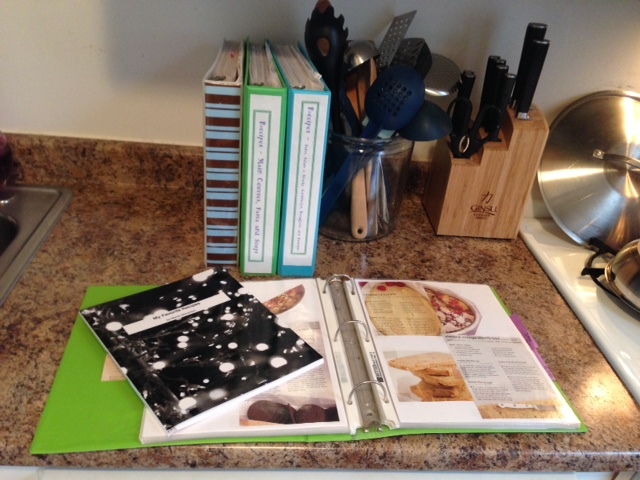 I have four binders that are bursting with recipes. With the advances of technology, I now put my new recipes in the cloud. I can snap a picture with my phone and transfer it in seconds! A quick bit about myself… I was born and raised in Michigan. I went to Michigan State University (Go Green!). The day after I wrote my last college exam, I moved to Chicago with a couple of friends. Fast forward sixteen years and I have settled down in the same small beach town in northern Michigan I was born in. Evan and I have been married for five years and look forward to many more to come. We have four furry, freeloading cats that often assist in the kitchen by flopping on the floor at our feet, demanding belly rubs! 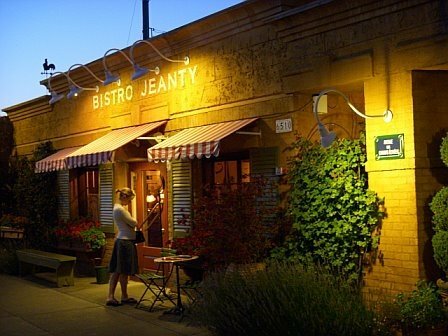 I hope that you will follow my culinary journey as I share my old faithful recipes as well as new favorites. Now let’s turn up the heat and get cooking!